As part of my earlier post asking for topics for discussion, PointsNerd reader, Marc, suggested a topic that covers earning points beyond the initial credit card sign up bonuses. As you may know, many credit cards offer excellent sign-up bonuses designed to attract new clients. My current favorite offerings are the 30,000 American Express Membership Rewards with the American Express Gold Personal card with the Alaska Airlines World Elite Mastercard’s offer of 25,000 Alaska Miles for $75 (hint: read my review on how to lower the annual fee to $15). After you have signed up for these cards, the question then becomes … can I do this again and get the sign-up bonus a second, third, fourth, etc. time? Well, the answer is … it depends. 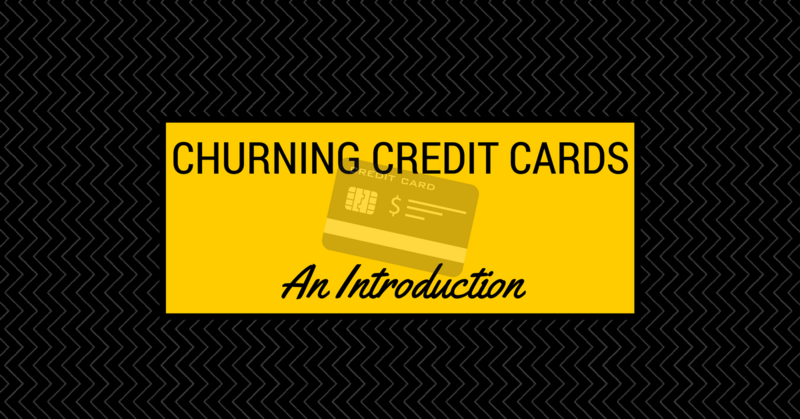 Applying for a credit card, using it until you meet the minimum spend requirement, collecting the sign-up bonus, canceling the card and doing it all over again is called churning. Churning, before it was well understood by credit card issuers was a very lucrative way to quickly amass a boat load of points. Churning cards have become more difficult in recent years but it’s still possible. Let’s examine why this is and where you can still take advantage of churning. Many credit card companies out there provide lucrative offers to new clients in an effort to convert them into life-long customers. These offers include large sign-up bonuses with the first year’s annual fee often waived. The idea here is to make the card as attractive and risk-free as possible for the new client so they can test out your product. The hope here is that the value of your credit card product will be so blatantly obvious to the client that they will be willing to pay the annual fee when it comes due in a year. Credit card companies can sometimes spend upwards of $1,000 to acquire a new client through things like advertisements, airport kiosks, sign-up bonuses and annual fee waivers. With this in mind, you can understand why these companies would try to make it more difficult for people to churn credit cards. In order to combat churning, credit card issuers are changing their terms and conditions to make it very difficult to get the sign-up bonus more than once. The most extreme measure (in Canada at least) is the Once-In-A-Lifetime Rule that American Express uses to dissuade people from churning their cards. *Note – all emphasis through this post (in bold) are mine. This offer is only available to new American Express® Gold Rewards Cardmembers. For current or former American Express® Gold Rewards Cardmembers, we may approve your application, but you will not be eligible for the welcome bonus. Offer subject to change. This offer is only available to new Platinum® Card Cardmembers. For current or former Platinum® Card Cardmembers, we may approve your application, but you will not be eligible for the welcome bonus. I haven’t examined every American Express card but I’m fairly certain that every card will have a similar clause. To qualify for a Welcome Bonus of 40,000 points you must have at least $5,000 in net purchases posted to your account in your first 3 months of Card membership. Account must be in good standing. This offer is not applicable to holders of an existing American Express Small Business Card product. When we stop offering the Welcome Bonus, we reserve the right to accept applications but you will not be eligible for the Welcome Bonus. Now don’t take this as the gospel truth but in the past, you could get the AMEX Business cards for different businesses and still receive the bonus. For example, if you ran two different businesses and needed separate cards in order to keep expenses separate, you could apply for the same card under a different business name and still get the bonus. However, the new clause that was implemented about 6 months ago calls that into question. If you are in this situation, I would strongly recommend calling American Express for clarification and document the hell out of your conversations. I have personally had 3 of these cards and have received the bonus each time I have applied. I would recommend that you read my review on the card to learn how to reduce the annual fee of $75 to $15. Anecdotal evidence suggests that you should be able to churn this card about a month after you cancel your existing one but I would wait 3 months to be safe. MBNA does not have any hard or fast rules on the eligibility for the bonus but be sure to read the terms and conditions of the card before you apply in order to make sure they haven’t changed the rules. To qualify for this offer, an applicant must be approved for the specific credit card account described in the offer. The account must be used for at least one eligible purchase transaction that is not subsequently rescinded, the subject of a charge back request or otherwise disputed. Please allow 8-10 weeks from the transaction date for bonus Miles to be posted to your Mileage Plan account. Limit one-time bonus Miles offer (no cash value) per new account. This promotion is offered by MBNA and may be amended or cancelled at any time without notice. Additional bonus Miles may be awarded if a completed application is submitted to an Alaska Airlines employee. As an aside, you used to be able to hold multiple MBNA Alaska cards but this is no longer the case. If you apply for another card while one is active, their system will automatically reject your application. TD has a modified term that is similar to that of American Express, except that you become eligible for the bonus again after 6 months with the caveat that TD reserves the right to limit the number of accounts opened and points awarded to one person. Welcome Bonus of 15,000 Aeroplan Miles (“Welcome Bonus Miles”) will be awarded to the Aeroplan Member account associated with the TD Aeroplan Visa Infinite Card Account (“Account”) only after the first Purchase is made on the Account. If you have opened an Account in the last 6 months, you will not be eligible for these offers. We reserve the right to limit the number of Accounts opened by and the number of miles awarded to any one person. 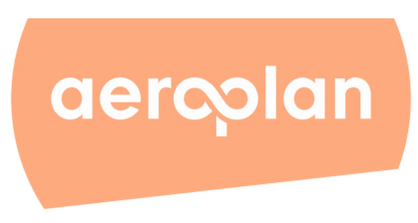 Please allow 8 weeks after the conditions for each offer are fulfilled for the miles to be credited to your Aeroplan Member account. Offers may be changed, withdrawn or extended at any time and cannot be combined with any other offer unless otherwise specified. These miles are not eligible for Aeroplan status. It is unclear when the timer starts for the 6 month eligibility but it’s a good bet that it starts when the card is closed. The Chase Marriott card is an excellent card to have for foreign transactions because you aren’t charged a foreign currency conversion fee of 2.5% like with almost every other card in the market so it’s a good card to have in your wallet anyways but to make it even sweeter, you might actually be able to churn this card as well even though the terms states that it is one time bonus. Bonus Points: Please allow 8 to 10 weeks after your first purchase for points to be posted to your Marriott Rewards account. This one-time bonus offer is valid only for first-time Marriott Rewards Premier Visa Cardmembers. Previous and existing Marriott Rewards Premier Visa Cardmembers are not eligible for this bonus offer. 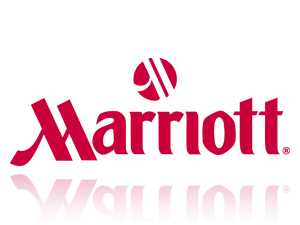 If your account is not kept open for at least 6 months, Marriott and Chase reserve the right to deduct the bonus points from your Marriott Rewards account. Purchases must not be returned or otherwise offset by a credit to your account in order to qualify. I have read a few reports that state that people have been able to earn the bonus a second and third time but they have waited about 6 months from the close of their previous account before attempting the churn. This is definitely a Your Mileage May Vary (YMMV) type scenario but because this is a no annual fee card, it’s not a big deal if you try and fail to get the bonus. As a Travel Hacker, I would encourage your to read the Terms and Conditions of every credit card you are signing up for in order to understand your responsibilities in the agreement and to understand if you are eligible for the sign-up bonus. While I do my best to present factual, evidence-based research, do not take my writing as the gospel truth. Do your own due diligence to avoid disappointment. If you have personal experience in churning cards and receiving a bonus even though the terms and conditions state you shouldn’t, feel free to leave that information in the comments to help others. If you would like another topic covered, feel free to leave a comment on the Call for Topics post. Besides sign up bonuses, What are you doing to manufacture your spending? Gift cards/money order work in canada?